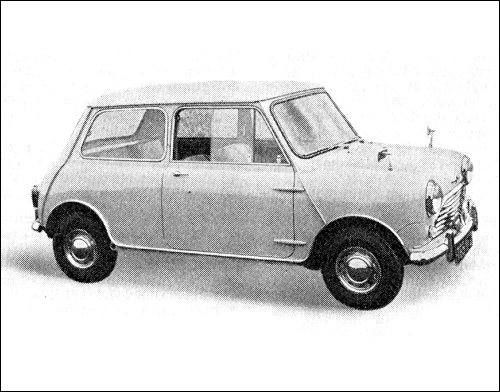 The ADO 16 project, as it is known in BMC, emerged as an attractive family saloon, which is based on the Issigonis Mini principle and features front wheel drive, a transversely-mounted, 1098-cc power unit combined with transmission and final drive, and inter connected rubber/ hydraulic (Hydrolastic) suspension. Available in two-door (initially for export only) and four-door versions. The mechanical layout and revolutionary suspension gives the car exceptional passenger space and road holding as well as a comfortable ride. 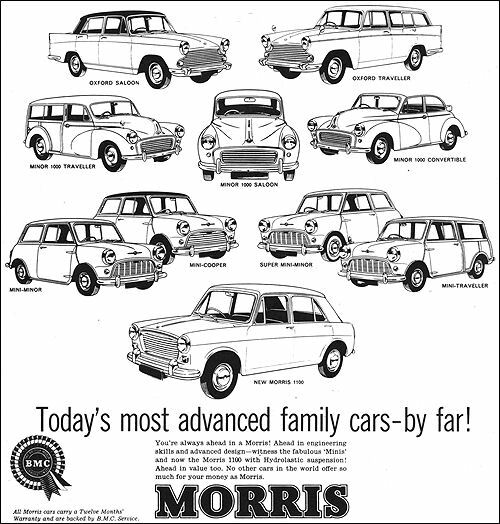 THE five models making up Mini range - normal, de luxe and Super saloons, the Traveller and the Mini-Cooper - are all unchanged, in common with their Austin equivalents, to which they're identical in every material respect. Connecting links, designwise, are of course the cars' front-wheel drive,'thwartships engine position and all-independent suspension with rubber replacing steel springs. 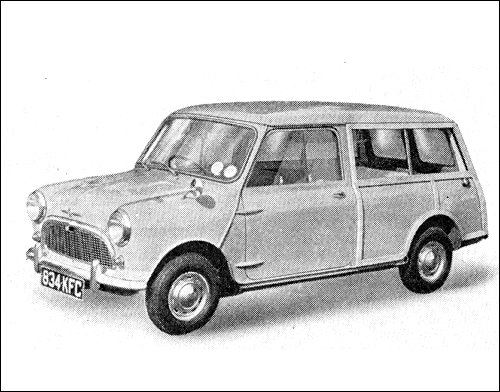 Super Minis have no performance advantage over the other 850 c.c. models but boast that extra touch of comfort and smartness. Treatment of the frontal grilles and bumper over-riders is different, body colour combinations are similar to the fast Mini-Cooper's, facia instruments include a water thermometer and oil pressure gauge. The Supers are quieter, too, thanks to extra sound-insulation of the body panels and wheel arches. Upholstery is in attractively patterned Vinyl. Luggage boots aren't large but all Mini models, from the least to the most expensive, share a host of within-the-body stowage places for personal articles. These include big receptacles in each door and alongside the rear seats. 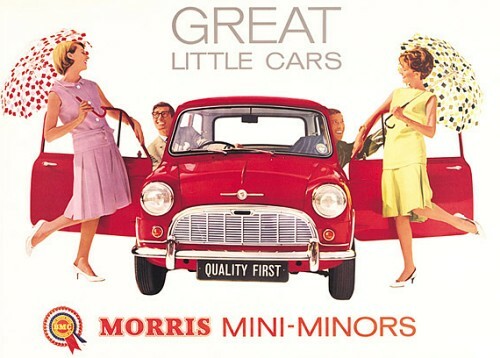 Mini-Minor £496.03 incl. PT. ; Mini-Minor Cooper £640.7.9 incl. PT. 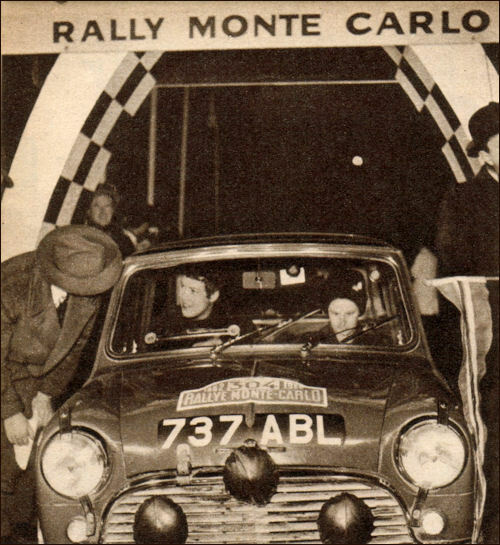 ; Mini-Minor Super £557.17.9 incl. PT. ; Mini-Traveller £604.12.9 incl. PT. "De Luxe" and "Super" designations discontinued. "Super de Luxe" designation introduced. Modified instrument panel now includes oil pressure and water temperature gauges. Minor 1000 - 48 bhp 1098cc engine, stronger gearbox and better brakes. 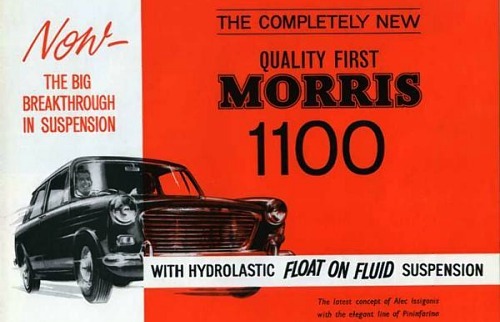 PROPHETS who foretold that the birth of the exciting Morris 1100 would mean death for the Minor 1000 were wide of the mark. It's still with us and no doubt it will still sell well, specially among conservatives who put proved serviceability above technical novelty. 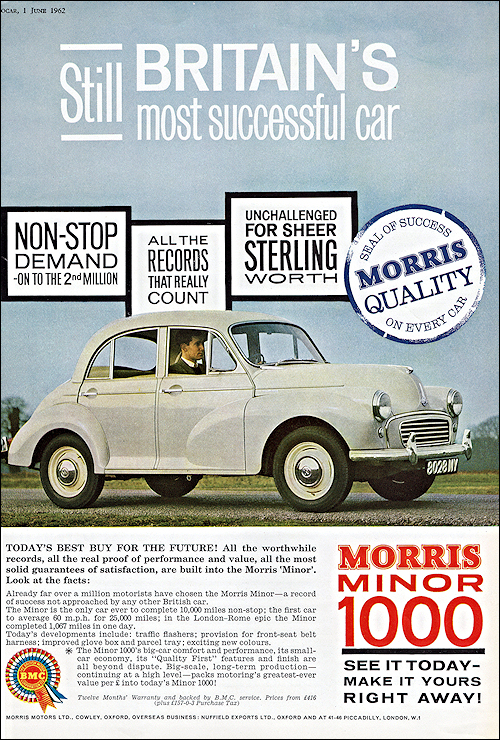 The Minor range offers a real galaxy of sub-types - two - and four-door saloons, a convertible and the ever-popular Traveller with its wood-embellished body - and to every standard model there is a de luxe counterpart. 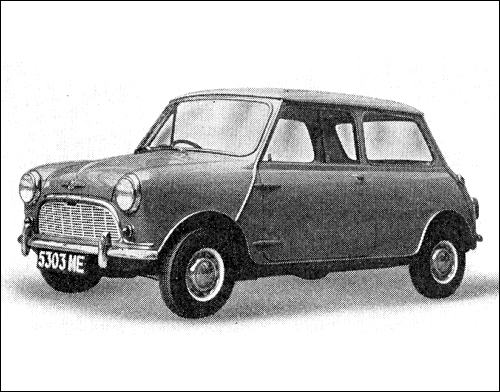 Keystones of the Minor's orthodoxy, compared with the Mini in its several guises, are of course "north-south" engine placement, rear-wheel drive, and a live rear axle sprung on semi-elliptics. 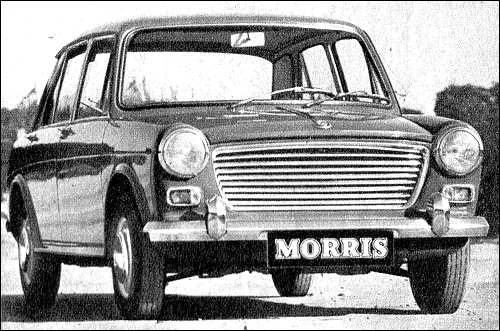 The Minor's engine capacity, 948 c.c., makes it a well-placed halfway house between the smaller Mini and the larger 1100. 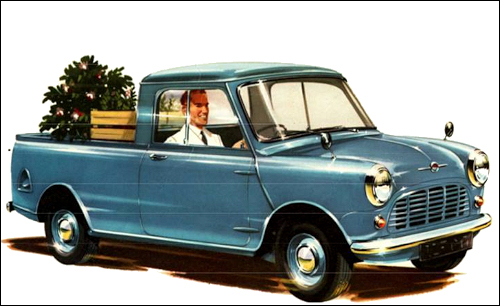 Platform length of the Traveller, with the rear seat bench out of use, is comfortably over four feet. When the saloon's rear compartment isn't occupied, the seat squab can be folded down, more than doubling the capacity of the boot. 2-Dr. Saloon £573.0.3 incl. PT. ; Convertible £573.03 incl. PT. ; 4-Dr. Saloon £607.7.9 incl. PT. ; Traveller £649.6.6 incl. PT. Oxford has two tone paint schemes from 1962. 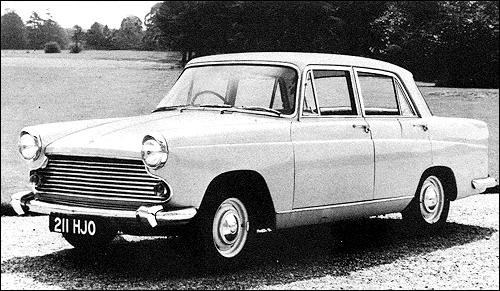 A 66 bhp diesel version is also offered from 1962 with top speed of 66 mph. WILL across-the-frame engine mounting, front-wheel drive and all-independent suspension ever extend as far up the B.M.C. scale as the 1.6-litre saloons? Possibly, but not this year. 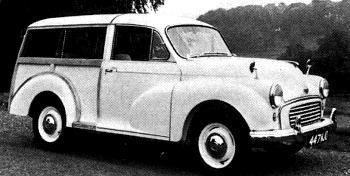 In fact, the Oxford in its two forms - saloon and Traveller - stays just as it is for 1963, following the host of changes it underwent about a year back. The saloon sells in standard and de luxe models while there's just one Traveller specification. 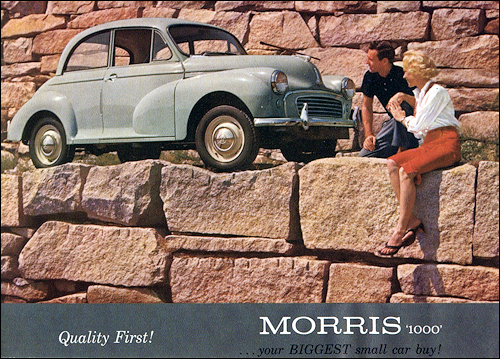 Without being a specially brilliant performer, or particularly startling in looks, the Oxford has just the qualities of roominess, reliability and comfort that countless experienced motorists demand. 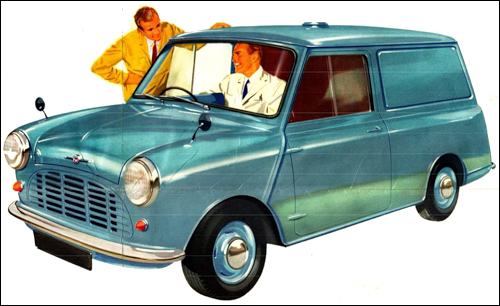 Lengthening of the wheelbase and track, and a reduction in wheel-arch size, which were among the 1962 amendments, made this one of the more spacious cars in its engine capacity class. Seat-to-roof measurements are 36 ½ in. front, 34 in. 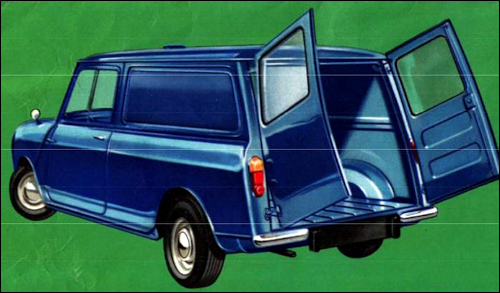 rear; maximum interior widths, 49 in. front, 55 in. rear; rear-seat kneeroom, from 7 ½ to 14 in. The very large boot is 56 ½ in. across at its widest, 28 ½ in. long, 21 in. deep (vertically). The Oxford will cruise at about 70-72 m.p.h. without sounding or feeling too "busy." Saloon £819.2.9 incl. PT. ; Traveller £936.0.3 incl. PT. 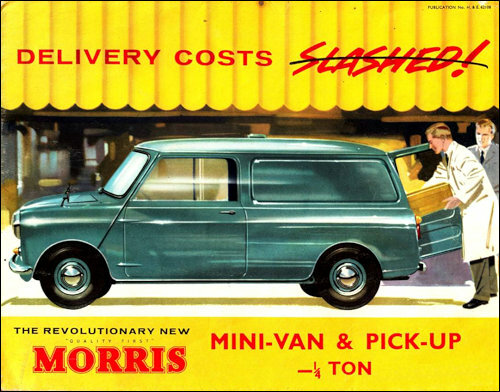 Introduced in 1962 Morris 1100 follows the mechanical layout of the Mini, but with a more spacious cabin. It is fitted with Hydrolastic suspension from the outset, disc front brakes and sealed cooling system. Available in four door and two door saloon for export. De luxe and super de luxe options. IF its unique system of hydraulically coupled front and rear suspension were its only new feature, this would be one of the technical highlights of Earls Court. But the 1100 is in fact new from stem to stem. 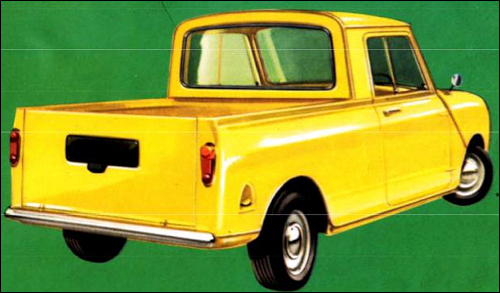 By its adoption of 'thwartships engine location and front-wheel drive, it demonstrates B.M.C. 's faith that the value of these aids to space utilisation and roadability is by no means confined to the Mini class. 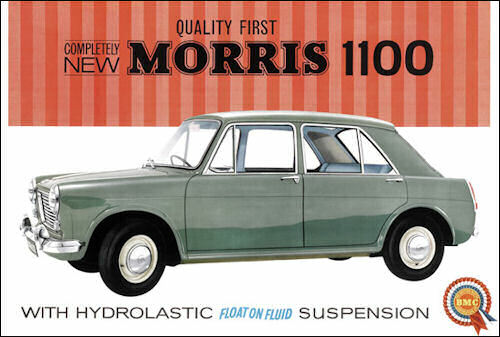 The new and exciting 1100's suspension goes further than all-independence; following a lead set by the small Citroens and a no-longer-made Packard, it has inter-dependence as its basis. The result is a freedom from fore/aft pitching which has to be experienced to be believed. Body design-there are two and four-door variants, both saloons-has a clean-cut and unfrilly "honesty" that is reminiscent of the work of the top Italian stylists at their best; yet in fact it owes nothing to foreign art and brains. Due partly to the use of curved side windows, passenger space is remarkable in relation to the car's exterior dimensions. There is room for three in the back seat, where the widths at shoulder and hip level are 491 and 50j inches respectively. Maximum knee-room in the back is an exceptional 141 in., though this of course is at the expense of the front occupants' leg reach. De luxe models are distinguishable by their anodized aluminium frontal grilles and bright-metal framing for the door windows. 2-Dr. Saloon E661.0.3 incl. PT. ; 2-Dr. de luxe Sal. £681.12.9 incl. PT. ; 4-Dr. Saloon £674.15.3 incl. PT. ; 4-Dr. de luxe Sal. £695.7.9 incl. PT. ... może się też nazywać Marina. Patt Moss starts from Oslo. 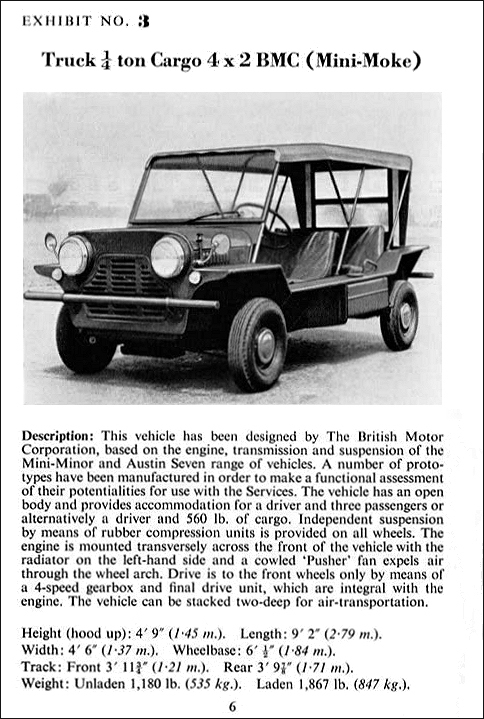 A page from 1962 catalogue showing an early (1959), long wheel base prototype.